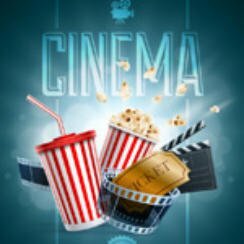 Popcorn Cinema Show takes a look at the weeks cinema releases (15th January 2016) for the UK, US, Australia and New Zealand, along with their film trailers. The Revenant starring Leonardo DiCaprio, releases on Friday in the UK. Meanwhile the US has the hard hitting Creed with Sylvester Stallone and Michael B. Jordan. Actor Alan Rickman has sadly passed away aged 69. Yes it’s that time of the year, the nominations are out. Rocky Balboa becomes trainer and mentor to Adonis Johnson, the son of his late friend and former rival Apollo Creed. When a developer threatens to build in Norm’s backyard, the Arctic, he decides to go to New York to put a stop to it. Room is a story of the bond between parent and child. Ma has created a whole world in a Room for 5 year-old Jack. This is where they have both lived for Jack’s entirelife. However Ma decides it’s time to escape risking everything in order to for Jack to make a thrilling discovery.